At integrated health system Kaiser Permanente, some patients are asked to provide the kind of personal information that's usually not expected. Patients are asked if they have concerns about their living situation, have trouble accessing food, or have transportation issues preventing them from getting the care they need. The questions, part of an assessment tool called Your Current Life Situation, also address the general level of stress the patient may be experiencing. The tool, launched in 2015, is intended to help Kaiser's clinicians understand aspects of their patients lives that go beyond their clinical care but still have a large influence on their overall health and wellness. Many believe that the healthcare system has a small influence on a patient's overall health status. "If you look at the mission statements of health systems, it's to improve the health of members and populations. We must pay attention," said Matt Stiefel, senior director of the Center for Population Health at Oakland, Calif.-based Kaiser. "This collection of social, economic and behavioral determinants powerfully influences health." As the push to value-based care motivates providers and payers to improve the overall health of their patients and communities, innovation in quality measurement has begun. The common measures currently used, such as readmission rates and complications, aren't enough to support needed changes, experts say, because they give stakeholders only a limited picture of the health status of their patients. Therefore, recent innovation in quality measurement focuses on ways to gather information on patients and communities that go beyond clinical processes and outcomes. Common quality measures currently used give providers a limited picture of a patient's health status. 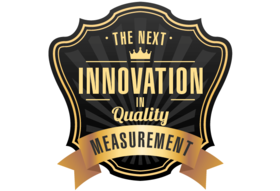 Recent innovations in quality measurement go beyond clinical processes and outomes. "Quality measures should be reflective of the changes you want to see," said Andrea Ducas, a program officer at the Robert Wood Johnson Foundation. "A real opportunity for innovation is developing measures that are actually meaningful and matter to people, and are reflective of a more holistic sense of health improvement." But the development of such measures is no easy feat. It's hard to get consensus on what areas beyond clinical outcomes and processes healthcare organizations should measure, said Dr. John Bernot, senior director of quality measurement at the National Quality Forum. "What do we consider someone who has housing instability? Is it someone who is homeless? We lack even the basic definitions," Bernot said. There is also the legitimate concern that too many measures are in use already. "There is a sense of measurement fatigue," said Jeffrey Rakover, senior research associate at the Institute for Healthcare Improvement. "Some health systems are measuring 5,000 different things." To address that, the IHI recently endorsed what are called "whole system measures," or a limited number of measures that encompass patient experience, health of populations and costs. The 15 measures assess areas like job satisfaction, social support from family or friends, and ability to afford healthcare services. Rakover said health systems dedicated to improving the health of populations should try to pare down their measures and focus on ones that will have the most impact. "It is finding that balance between meeting the needs of payers and regulators and spending time on the things you care about," he said. Health systems and payers that have begun work in this area have taken different approaches. Some develop their own sets of measures to address the specific needs of their patient population as the Oregon Health Authority has done. Others like Humana use already established measure sets to get a sense of patient's overall perception of health. Ducas said such individualized approaches are effective because each community has unique needs. "It is context-specific. What is going to be meaningful to you?" Health systems and payers can't improve the overall health of populations alone. Experts say they need to establish community partnerships. Hospitals and insurers have relatively little expertise and resources to provide a wide scope of social services, and most say they shouldn't have to. "The healthcare community has a limited ability to do this—not all folks who have (issues with) social determinants actually show up in the hospital," the NQF's Bernot said. "There is a huge population that the healthcare community doesn't interact with." The idea that providers should even play a role in addressing social determinants of health is still somewhat controversial. "There is still a big paradigm shift that needs to happen with respect to providers thinking about community health improvement, and what it would mean to create opportunities for health within their community and what their role is," Ducas at the RWJF said. At Intermountain Healthcare, data collection has begun around social determinants of health. Sometimes the clinicians push back on such efforts and question whether or not it's their problem to deal with, said Mikelle Moore, senior vice president of community health at the Salt Lake City-based system. Taking such concerns into account, Intermountain enlists care coordinators and navigators to handle patient referrals to community resources instead of doctors and nurses. Moore said even with Intermountain's efforts, the health system is still limited in its ability to track such information. "I think the measurement probably needs to be broader than what we have the ability to measure; we need to think beyond our sector," she said. Bernot agreed, saying data on social risk factors and health disparities likely already exist, but stakeholders need to come together to share this information in a standardized way. Local governments and states will probably need to play a role. "A massive multi-stakeholder approach is going to be very important," he said. "The good news is there is a lot of energy." However, the drive to measure areas beyond clinical health like social determinants is still limited by how fast the move to value-based care occurs. "When it comes down to it, we still live in a fee-for-service world," the IHI's Rakover said. "I think as health systems move more aggressively toward value-based payment these are the kinds of things that will push the health system farther upstream toward health and wellness."